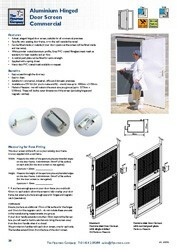 Robust hinged door screen, which face fits inside or outside, to existing frame or to the wall outside the reveal. 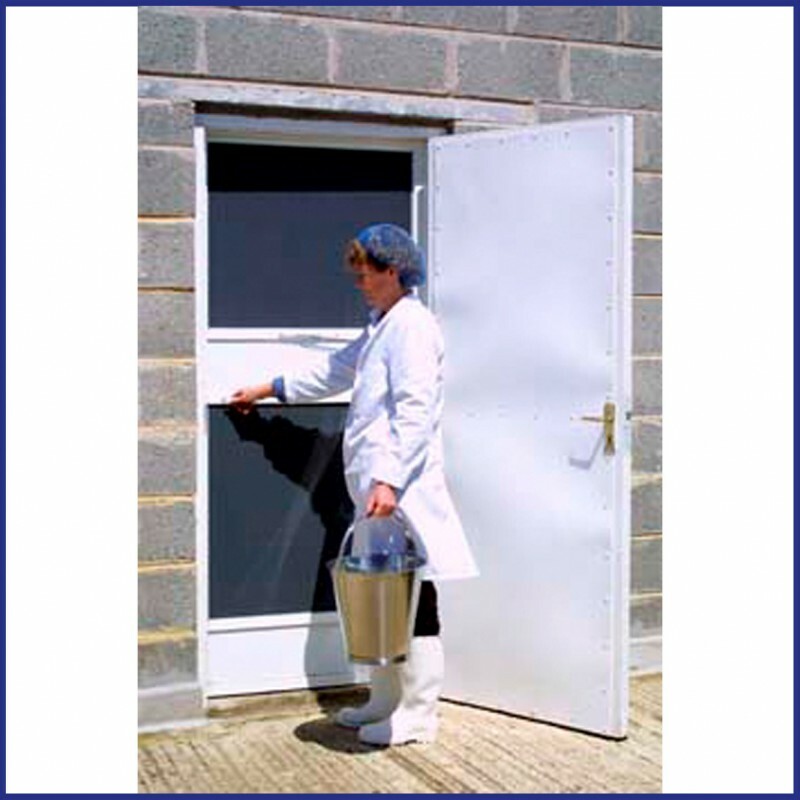 If your door opens out the screen will be fitted on the inside and visa versa. 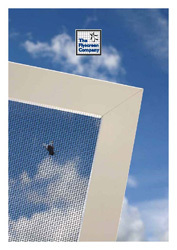 Powder coated aluminium frame in white. Suitable for all domestic, office, commercial and most industrial uses – comes with a single midbar and a kick plate at the bottom to protect the mesh as standard. A push plate can be fitted in the middle of the door to make it more robust for busy commercial use. 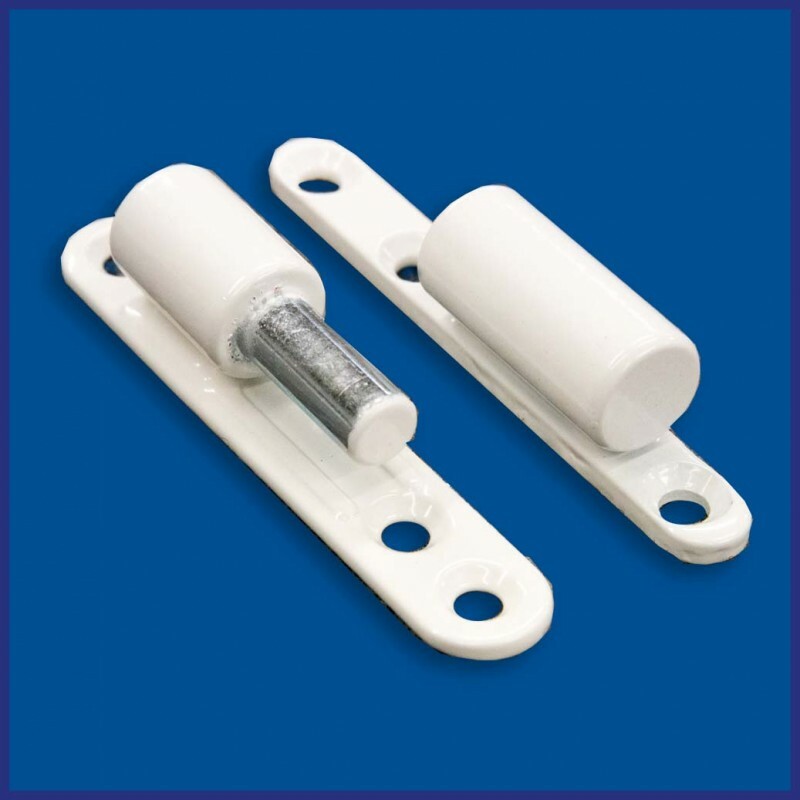 All doors wider than 1000mm must have a central push plate. Supplied with a spring closing mechanism..
For additional strength it is made with internal mitred corners. Also available as DIY Kit (for you to make and fit). 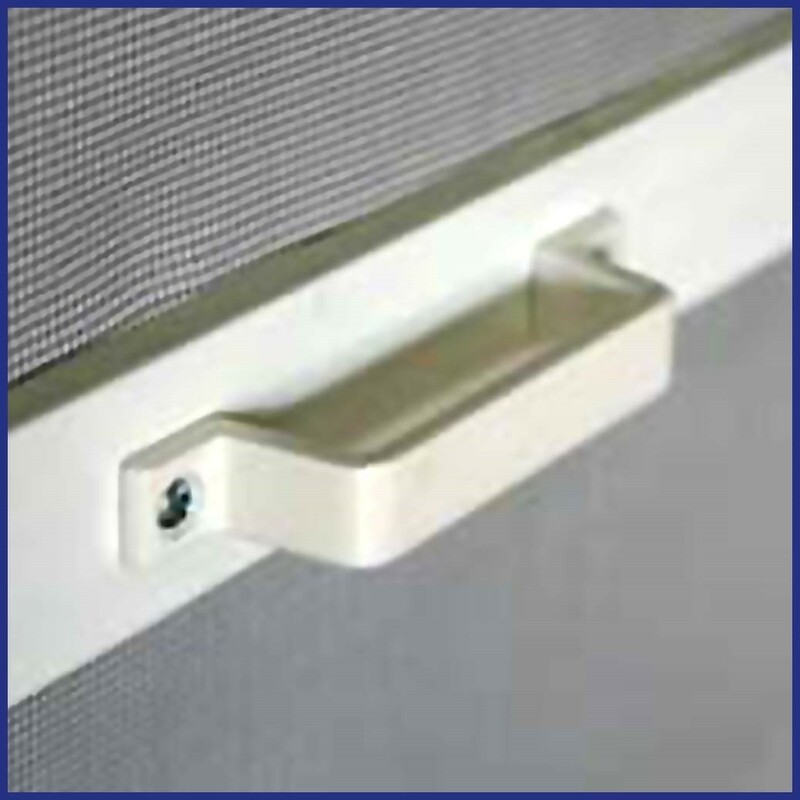 This door screen will face fit on to your existing door frame. It is NOT supplied with a subframe. 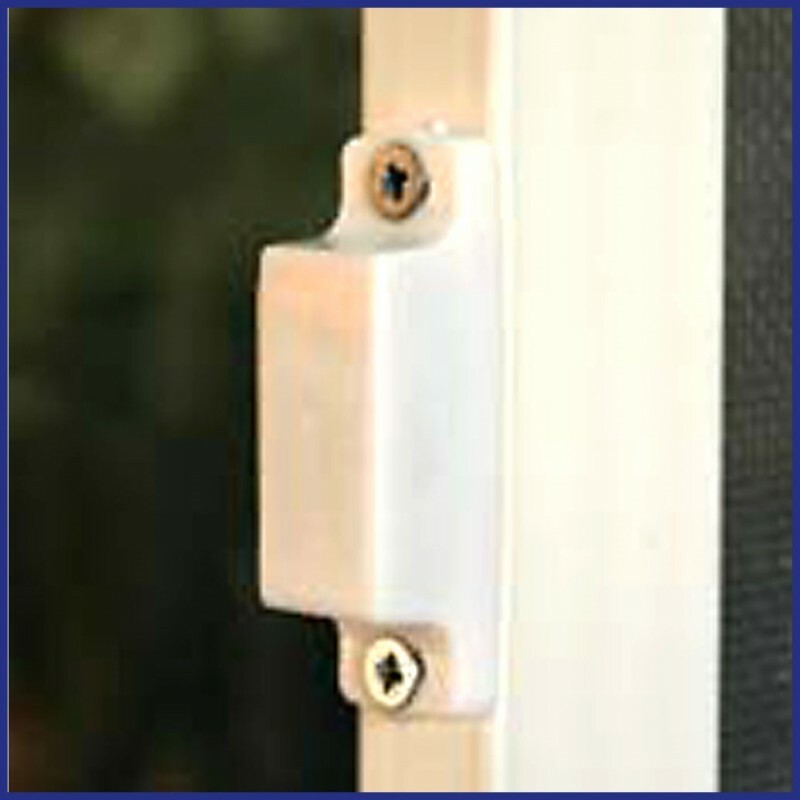 Measure the width of the aperture plus any bevelled edges on the door frame. Add 43mm* of flat surface on each side (for the screen frame to rest against). Measure the height of the aperture plus any bevelled edges at the top of the door frame. Add 43mm* of flat surface at the top of the door (for the frame to rest against). *If you are short of flat surface this amount can be reduced to 10mm minimum. 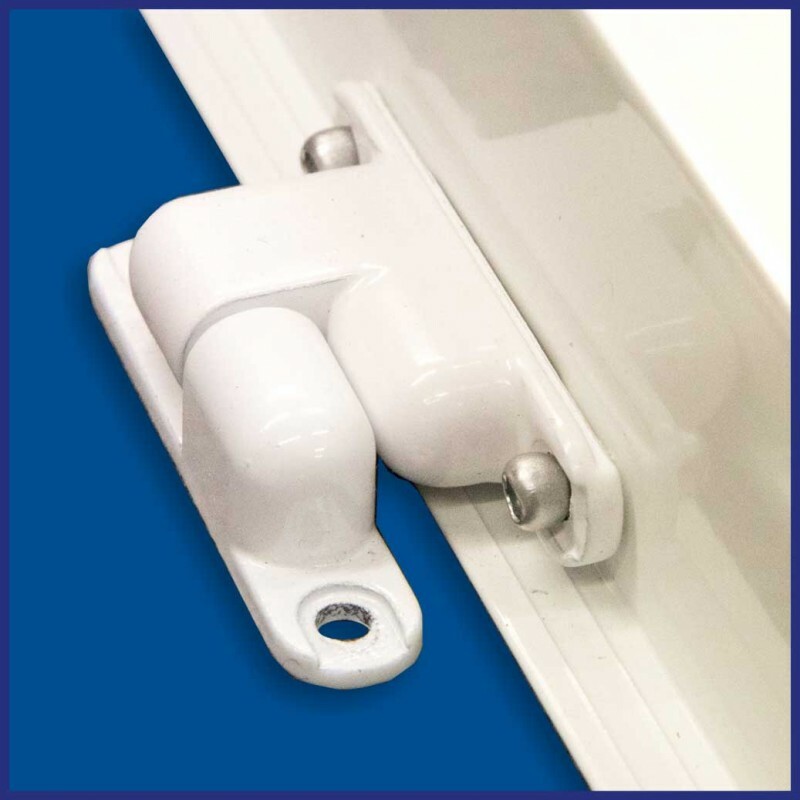 If your door handle extends more than 10mm beyond the flat surface you will need to build a sub-frame to bring the screen away from the door handle when it is closed.